So I have been struggling with the decision to buy a new pair of trail shoes. On the one hand I really want a pair of Vibram’s new Spyridon LS. 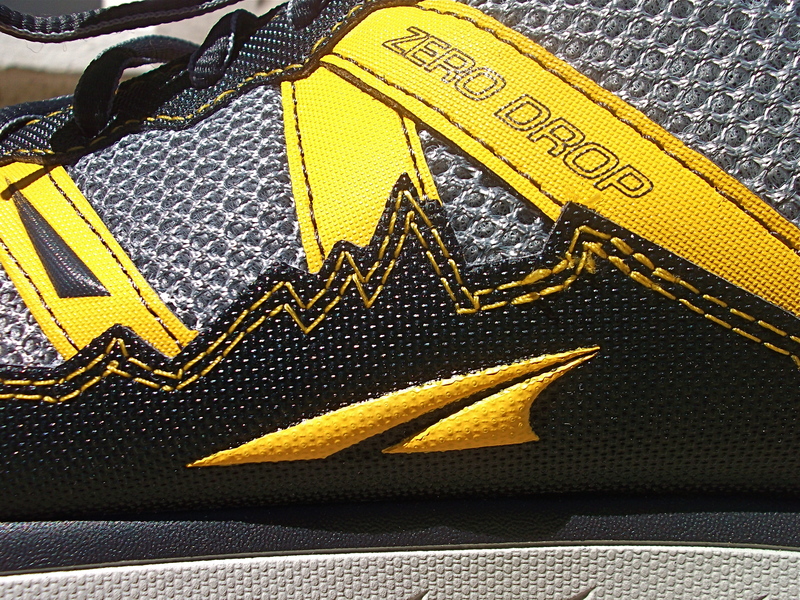 These are exclusively for trail running, with lots of lugs and grippy parts. However, I also have been wanting to up my trail mileage, and that means wanting a bit more cushion underfoot—especially on rocky and very technical terrain. After much agonizing back-and-forth and talking Katie’s ears off on our runs (sorry Trin), I decided to go with the Altra Lone Peaks. Altra is a relatively new shoe company, and two things set them apart: their emphasis on making zero-drop shoes; and the wider toe box that allows the foot to naturally splay and spread, facilitating a more natural gait. First Impressions These shoes are HUGE. Ok, not really. But from someone who runs almost exclusively in VFFs any shoe looks giant. Even my Trail Gloves are small compared with the Lone Peaks. Katie’s comment was that they look “orthopedic.” Fair enough. 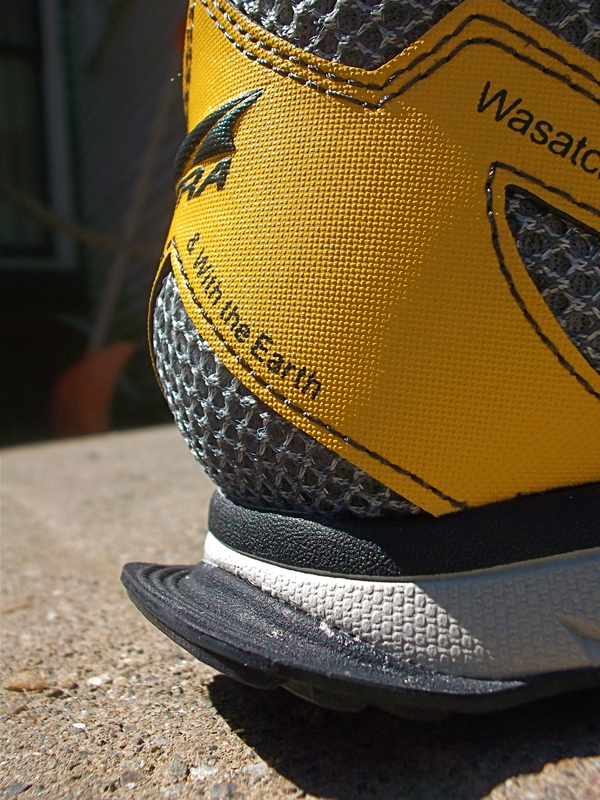 They are rather bulbous in the forefoot—which is a unique design for Altra’s shoes. 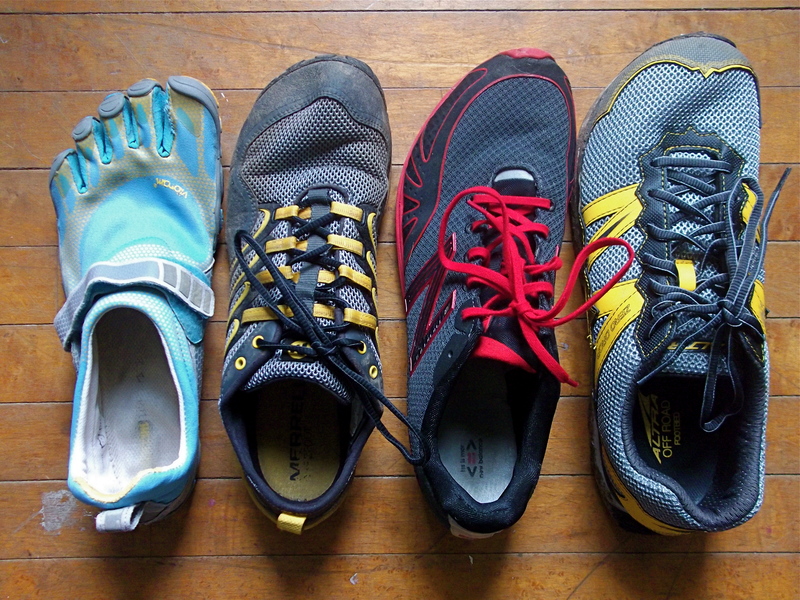 For an easy comparison, here are the specs on the four different shoes I own and nice photo of the shoe family. First Run Impressions I took the Lone Peak’s out for a short loop around Hard’ack with Katie last weekend. I figured this would give me a good initial impression of how they handled on a technical run and on hilly terrain. Katie commented on my “hesitant footfalls,” as if I were be overly cautious over where to step. 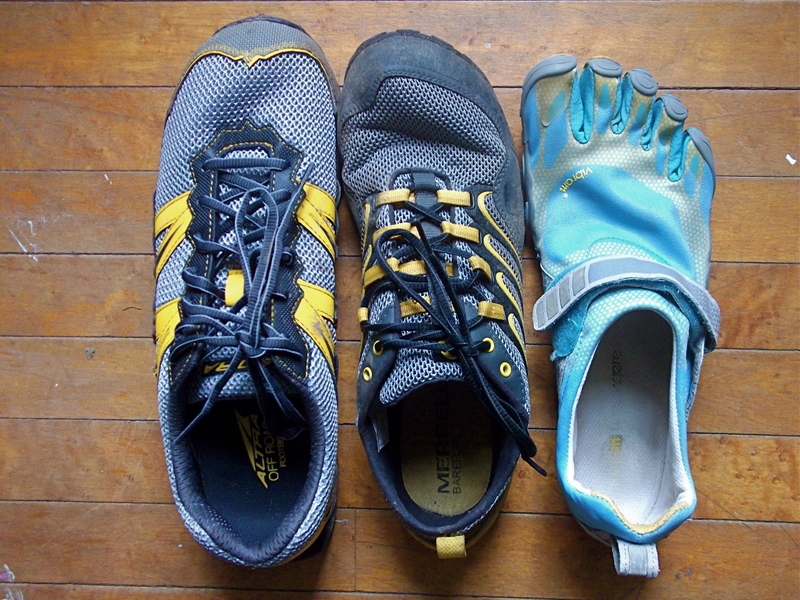 This is true: the shoe is much larger and quite a bit higher off the ground than a Bikila or a Trail Glove, so I wasn’t sure how to run at first. A strange thing to say, I know, but it was a strange feeling. After I got used to them I realized that I could simply plow through a lot of the rockier areas, whereas I would have had to be more cautious and conscious in other shoes (this is, perhaps, a possible downfall for minimalist runners). The grip was impressive—through mud, up hills, down the descents, and on rocks. The Lone Peak handles great. 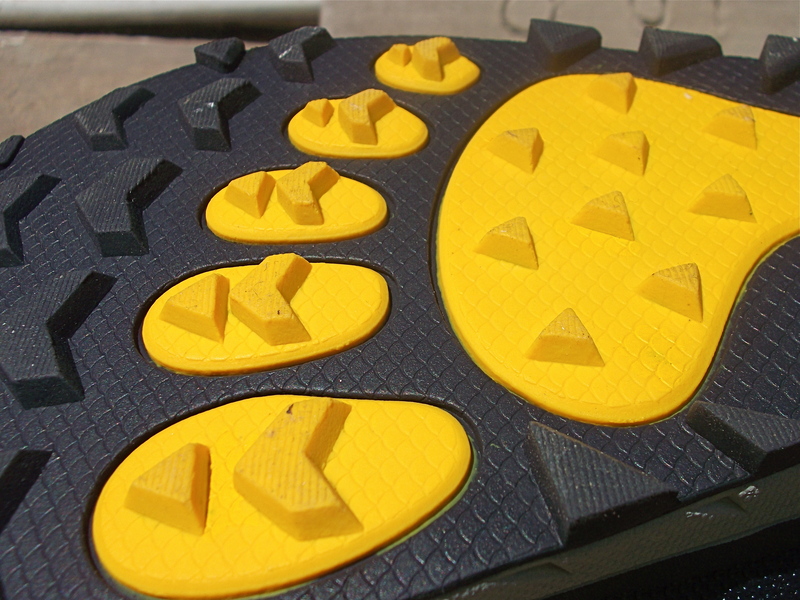 They are very comfortable with a built in rock plate (StoneGuard) and cushy insole (Mountain Footbed). They will definitely be a go-to shoe for longer, rocky trail runs. The Lone Peaks have a little rudder (tail?) on the back of the heel that is supposed to help with descents. I haven’t noticed any advantage, though perhaps on loose terrain it might be advantageous. Zak Branginan points out that it does serve as a very useful built-in boot pull—helps to take the shoes off without getting your hands dirty. Second Run Impression (Wet and Mud) Well, given that the first run was in dry weather I knew that I had to give the Lone Peaks a going over in more hazardous conditions. While it wasn’t a downpour, the trails were muddy and wet. On the whole the Lone Peak did wonderfully. I didn’t feel any slippage in the mud, and on the ascents/descents I had solid footing. I did slip on a number of wet rocks, but that occurs for every shoe. I also didn’t feel any wetness on my feet. While this could have been due to my Drymax Socks I like to think that the Lone Peaks resisted the water rather nicely. Final Thoughts The Lone Peaks are a great addition to any trail runners arsenal. The wide tow-box allows the feet to move naturally, and the zero-drop construction helps to keep your feet underneath your center of gravity, avoiding heel striking. They are a not a minimalist shoe by any means. They have a bit more weight than the Trail Gloves, but their larger stack height gives much less ground feel. Be wary when transitioning to them, especially if you are used to wearing more minimal shoes. Compared with other more traditional trail shoes, however, the Lone Peaks have a number of features that minimalist runners will enjoy. The people at Altra are so awesome with customer service.. 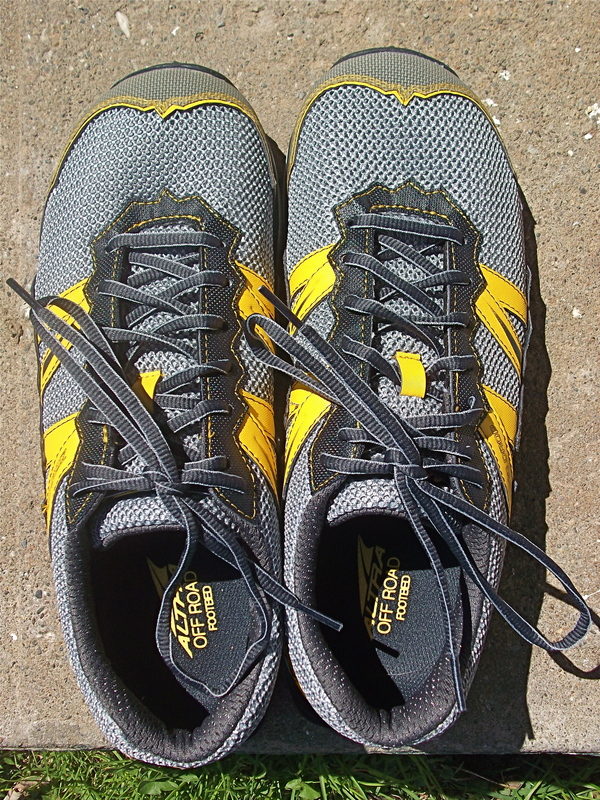 I LOVE my new balance minimal shoes for trails and will stick with them, but I have wanted to try altras… One of our trailsROC fellas wears em and loves em. Yeah, I really do love my Bikilas, and my Trail Gloves are great for almost all conditions. The only time I will use the Altras is for really long trail runs on rocky, technical terrain. But at least they are a nice option.